Thanks to open standards, Opto 22 products can make data available for integration, storage, analysis, and Industrial Internet of Things (IIoT) applications. The table below shows the development tools and communication protocols you can use with Opto 22 products. Some require free software development kits (SDKs) or integration kits, listed in the Notes column. Remember that Pre-sales Engineers are available to help you with your application, and you receive free Product Support on all products you buy. All Opto 22 products are designed, manufactured, and supported in the U.S.A. from our headquarters and factory in Temecula, California. Please note: Shaded cells indicate legacy products, which are not recommended for new development. Requires PAC firmware R9.5a or higher. Access data in a groov® Data Store using the groov API groov See groov Build and View User’s Guide (form 2027). See API documentation within groov Build (choose Help > groov Public API). Requires groov R3.3a or higher. - SNAP-D4M rack and SNAP digital I/O modules See developer.Opto22.com for getting started steps and code samples. - groov Node-RED nodes for SNAP PACs (requires PAC firmware R9.5a or higher). GROOV-AR1 groov Box includes Node-RED (requires groov Admin 1.570.44 or higher). Requires PAC Project R9.4a or higher and PAC firmware R9.4a or higher. Requires PAC Project R8.2a or higher. Requires SNAP-SCM-CAN2B CAN com­munication module with firmware R1.0d or lower and PAC Control R9.2a or higher. Requires SNAP-SCM-CAN2B CAN com­munication module with firmware R2.0d or higher and PAC Control R9.2a or higher. Requires PAC Control Professional R8.1 or higher. - SNAP PAC EB brains Direct communication over EtherNet/IP. - SNAP Ultimate I/O Direct communication over Ethernet. - SNAP PAC EB brains Direct communication over Ethernet. - SNAP Ethernet I/O Direct communication over Ethernet. HART Communicate with current loop devices using the HART protocol PAC Project and SNAP PAC controller and HART SNAP I/O module(s) Requires HART SNAP I/O module(s). HART SNAP I/O module(s) and SNAP PAC R-series con­troller or SNAP PAC brain Custom program built using PAC-DEV-HART-DOTNET. Requires HART SNAP I/O module(s). - groov HTTP/HTTPS server is built in. Requires PAC Control Professional R9.3a or higher. mistic Communicate with legacy mistic I/O SNAP PAC S-series and PAC Project Professional Use legacy versions of the PAC Control, PAC Display™, and PAC Manager™ User’s Guides. Also see the FactoryFloor to PAC Project Migration Technical Note. 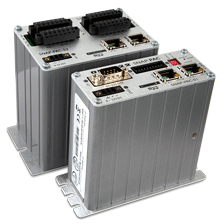 Modbus®/TCP Exchange data with Modbus devices over Ethernet groov Direct Modbus master. SNAP PAC controller For memory map addresses, direct Mod­bus slave-only communication. For PAC Control data, use PAC-INT-MB (includes master and slave for both Ether­net and serial networks). SNAP PAC EB brains Direct Modbus slave-only communication. E1 and E2 brain boards Direct Modbus slave-only communication. Modbus ASCII Exchange data with Modbus devices over a serial network PAC Project and SNAP PAC controller PAC-INT-MB (includes master and slave for both Ethernet and serial network). Requires PAC Control R9.0a or higher. OPC UA Communicate as a client with sys­tems and equipment compatible with OPC UA groov Requires Enterprise platform on either groov Box or groov Server for Microsoft® Windows®. OPC DA 2.0 Communicate as a server with OPC DA 2.0-compatible systems and equipment OptoOPCServer™ Included in PAC Project Professional or available for separate purchase. OPC DA 1.0 Communicate as a server with OPC DA 1.0-compatible systems and equipment OptoServer Included in legacy FactoryFloor software suite. Optomux (Ethernet) Use Optomux protocol with I/O E1 & E2 brain boards Use Optomux Protocol Drivers & Utilities (compatible with Win XP/2000 only). Pamux High-speed control of digital I/O PCI-AC51 or PCIe-AC51 adapter card and B4, B5, or SNAP-B4 brain PC-PAMUX-SDK (compatible with Win­dows 8/7/Vista/XP/2000 only). Peer-to-peer Communicate between controllers SNAP PAC controllers See PAC Control User’s Guide for Scratch Pad method. 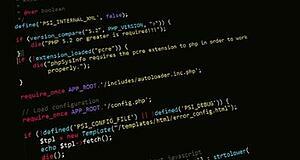 See developer.opto22.com for using PAC's RESTful API. - SNAP-LCE controller See PAC Control User’s Guide (Legacy Edition) for Scratch Pad information. SNAP PAC R-series Direct communication. - PAC Display™ SMTP client with authentication and attachments. - SNAP Ethernet I/O SMTP client. - SNAP PAC EB brains Direct communication. - Use OPTOMIB1 for SNMP v1-compliant Management Systems. - Use OPTOMIB2 for SNMP v2-compliant Management Systems (Requires firmware version R8.2a or higher, or R9.4b or higher for high-density digital modules). - SNAP Ethernet I/O Direct communication. Use OPTOMIB1 (SNMP v1-compliant Management Systems). Requires firmware version R5.0 or higher on SNAP Ultimate I/O. groov Custom programs using the groov Data Store REST API. SSI Acquire data from linear or rotary transducers using the serial synchro­nous interface (SSI) protocol SNAP-SCM-SSI communi­cation module and SNAP PAC R-series con­troller or SNAP PAC brain See the SNAP SSI Module User’s Guide. - E1 and E2 brain boards Built-in communication. - SNAP Ethernet I/O Built-in communication. 1 PACs manufactured after November 2008 have a card slot; firmware R9.4a and loader R6.1a or higher required for microSD cards above 2 GB.